Our team consists of two general practicioners Dr. Peter Volkmann and Cornelia Bernstein and of Nicole Kuhnert who is specialised in internal medicine. 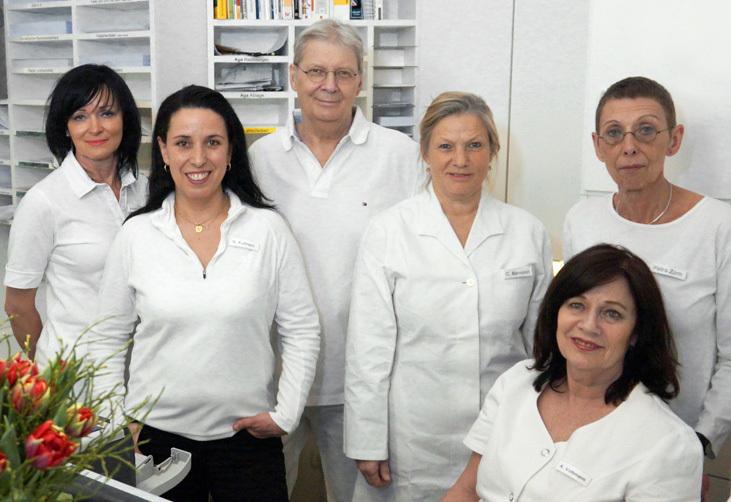 The practice is located in Berlin Wilmdersdorf close to the famous Kurfürstendamm. The metro station U-Bhf. Fehrbelliner Platz is in short walking distance and easily reachable by foot. We treat children as well as adults for any kind of medical need. Furthermore we provide health checkups, vaccinations, medical certificates, abdominal sonography and acupuncture. 8 a.m. – 12 a.m. and 15 p.m. – 18 p.m.